A water lover's dream, this home comes complete with its own boat ramp, dock and fish cleaning station. Host family and friends for laid back fish fries and crab feasts in the additional downstairs kitchen and dining area designed for these special gatherings. Main living area upstairs is bright & open with direct access to a large rear deck. A quaint spiral stair case leads to the charming ship's watch, the perfect place to get away from it all and take in the MOST AMAZING sound views!! A boat garage, covered parking and attached two car garage offer lots of room for all those water toys! W T Griggs Elementary Elementary School / Public 3 3.05 mi. Currituck County Middle Middle School / Public 5 10.62 mi. Currituck County High High School / Public 4 10.75 mi. Jarvisburg Elementary * Pre-School, Elementary School / Public 5 2.75 mi. Jarvisburg Christian Academy * Elementary School, Middle School, High School / Private N/A 2.66 mi. Water's Edge Village School * Elementary School / Public N/A 9.73 mi. 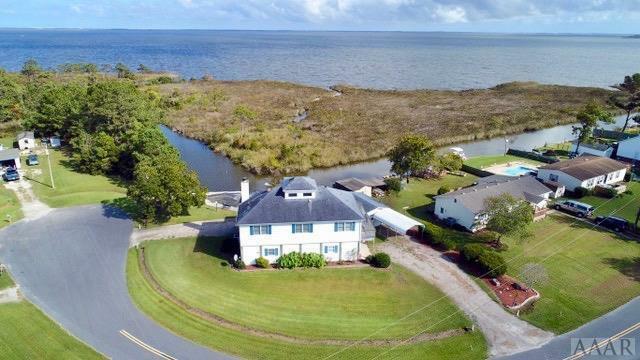 162 Edgewater Drive, Grandy, NC 27939 is a 3 bedroom, 3 bath single family home was sold for $285,000 by Mirjam Davis in the Currituck real estate office.